When it comes to age and timelines in roleplay, there’s some overlap with certain races. Humans and worgen go hand in hand, and the Forsaken were also at one point human. This means that when you’re considering creating one of these three character races, you can pretty much look to the same timeline — with a few adjustments for where said character grew up, lived, or died, of course. Of all of the races out there, the human race is strangely the most simple to comprehend, yet the most complex to pinpoint. Why? Because aging for humans in Warcraft is pretty similar to the aging we do out here in the real world. 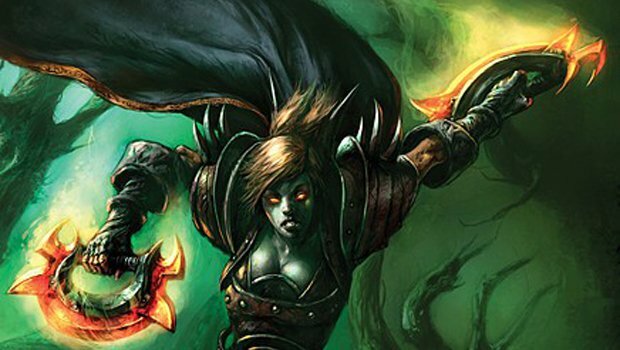 Of course some humans in Warcraft live far longer than people out here in the real world — we’re dealing with magic, after all — but for the most part, it’s pretty similar. Yet at the same time, the human race has one of the most convoluted histories out there, simply because there is so much of it to take in and understand. As one of the two flagship races in the original Warcraft: Orcs vs Humans, the human race has a boatload of expanded history available for reference. Once again, we’re going to go back to the Warcraft RPG source books as a rough guideline for age references. Obviously, the books have been stricken from the record as canon material, but we don’t exactly have any real guidelines out there — so we’ll take what we can get as a general sort of guide. Keep that in mind. According to the source books, humans reach maturity and are considered adults at around age 15 or so — not a far stretch for a fantasy world in which youngsters seem to be bent on hunting down monsters and saving the world. This makes Anduin Wrynn an adult — and also explains why he’s so touchy about the fact that his father still clearly considers him a child in so many ways. But middle age for the human race in Warcraft is supposedly around 35, while old age kicks in at about 52-53. According to the source books, humans don’t really tend to live beyond 85-130 years of age. These are, of course, guidelines, and there are exceptions to every rule. Aegwynn for example magically extended the length of her life, and there are others who have done the same. Just because you’re playing a human, it doesn’t mean you have to limit yourself from magic influence — after all, humans started practicing magic thousands of years ago, during the Troll Wars. But for worgen players, you’re looking at pretty much the same rule of thumb. The worgen of Gilneas were only recently cursed — before that, they were simply humans, albeit the humans of Gilneas, an isolated city with little to no contact with the outside world. For Forsaken, the story is a little different. Obviously your character died. Before they died, they were human. Once they died, aging pretty much became a non-issue — can Forsaken die? Absolutely. Can they grow old? Well … they can live for as long as they need to. While Forsaken haven’t been listed as immortal, the race is recent enough that we really don’t have any information regarding their aging process, because none of them have actually lived long enough to witness the signs of undead aging. So it’s almost a moot point. To figure out just what your human character is familiar with, all you need to do is count back from the present day. According to the official timeline released with the Ultimate Visual Guide, Mists of Pandaria took place in year 30. If your human is 30 years of age, they would have been born the year of the First War — far too young to remember the orcs coming through the Dark Portal, and obviously not really aware of what Azeroth was like before the orcs came to the world. If your human is 20 years of age, they missed the First and Second Wars entirely, and were 10 years old during the Third War — which means they weren’t involved or fighting in it. If your human is 45 or older, it’s likely they fought in the First War, provided they were in the area — but if they’re 45, they would’ve been only 15 years old at the time the war began. Human characters can originate from pretty much any of the seven human kingdoms — Alterac, Dalaran, Gilneas, Lordaeron, Stormwind or Stromgarde — but you’ll want to look into the individual histories of each kingdom to see how your character would fit. The Alliance of Lordaeron brought all these kingdoms together in the Second War, but many crumbled and fell during and as a result of the war. Lordaeron, of course, fell during the Third War. But remember — just because a kingdom fell, it doesn’t mean that there were no survivors. Feel free to pick and choose as you see fit. For worgen players, life is a little different. 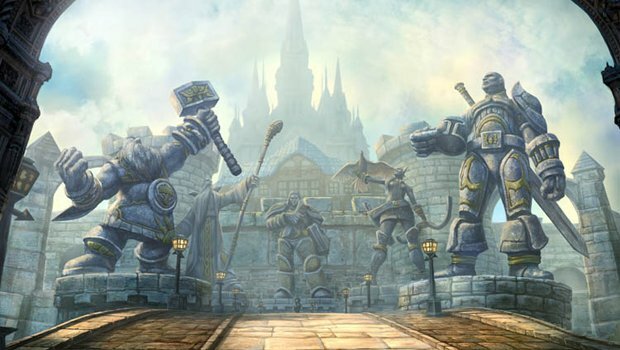 After the end of the Second War, Gilneas withdrew from the Alliance and constructed the Greymane Wall, effectively sealing themselves off from the rest of the world. This means that worgen players wouldn’t have experienced any of the history surrounding the Third War at all. Instead, Gilneas had its own history. During the Third War, the Gilneans fought back Scourge attacks at the Greymane Wall, but King Greymane’s armies were decimated by the seemingly unending armies of the undead. In a desperate effort to turn the tide, he ordered Arugal to release the worgen. While they were successful at routing the Scourge, they turned on the Gilneans — and that’s when the worgen curse began. In between all of this was a civil war that nearly tore the kingdom apart — one side, led by Darius Crowley, felt that King Greymane’s extreme isolationism was unwarranted, while King Greymane wanted nothing to do with the outside world. Crowley failed to take over the kingdom, but the effects of the Northgate Rebellion were felt by all. If your worgen is 30 years of age or older, they have seen it all — the forming of the Alliance of Lordaeron, and King Greymane’s eventually withdrawal from that Alliance after the Second War. They may even have fought in the Second War, returning home only to find that the kingdom was going to be cut off from the rest of the world. They saw the Northgate Rebellion, they may have participated on one side or the other, and they were afflicted with the worgen curse. The events in the worgen starting zone give a pretty good idea of what’s going on in Gilneas, history wise and present day. 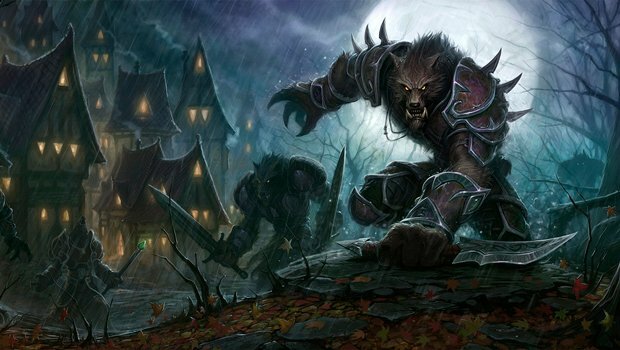 A worgen who is 22 or younger wouldn’t really have any experience at all with life before the Greymane Wall was constructed. For Forsaken roleplayers, it gets even stranger still, because you have to determine which generation of Forsaken you belong to. There are two distinct “waves” of Forsaken as it were, the original group, and a newer one. The Forsaken were originally members of the Scourge — citizens of Lordaeron who were killed during the Third War in year 20. These fallen citizens were then mindless servants of the Lich King until they broke free of his hold and regained their free will, right around year 22 or so. However, many years later, after the events of Wrath of the Lich King in year 27, Sylvanas Windrunner made a deal with the val’kyr. She realized after the Lich King’s death that the Forsaken had no means to procreate, which meant that without a Lich King to create them, her people would slowly die out. The val’kyr were capable of raising new Forsaken, and did so for the Banshee Queen — this is where the new generation of Forsaken comes from. They are soldiers who have fallen at one point or time, reanimated and reborn by the val’kyr. But that’s only part of the puzzle. For a Forsaken, you have to ask yourself how old your character was when they met their end, and how they met that end. If they are first-generation Forsaken, they died during the Third War — and you would count back their age from that point to determine how much history they would know. An original-generation Forsaken who was 30 years old when they died would have been 10 years old when the First War began, and 20 years old during the Second War. The Alliance of Lordaeron was formed during the Second War, so it’s likely that your character fought in that war or participated in it in one aspect or another. However, a second-generation Forsaken could’ve died during the Cataclysm for all that mattered, having been brought back to life by the val’kyr. Whether or not your Forsaken remembers who they were before they died is up to you as a player — but if you want to play with that aspect of it, you’re certainly allowed. But! Allowing for creativity here — while the human model is used for all Forsaken, there’s nothing saying, particularly with the new generation of Forsaken, that your character couldn’t be a different race. And if you really wanted to, you could roll a death knight of any race and deem them as Forsaken. For Forsaken of other races, you’ll want to use the same guidelines — how old your character was when they died — and look at the history for their particular race to determine just who they were and what they might have done when they died. Although the human race is short-lived in relation to most of the other playable races for Warcraft, they have some of the most developed history. It’s up to you to determine just where and how your character spent their past, and how it shapes who they are and what they are doing in present day.